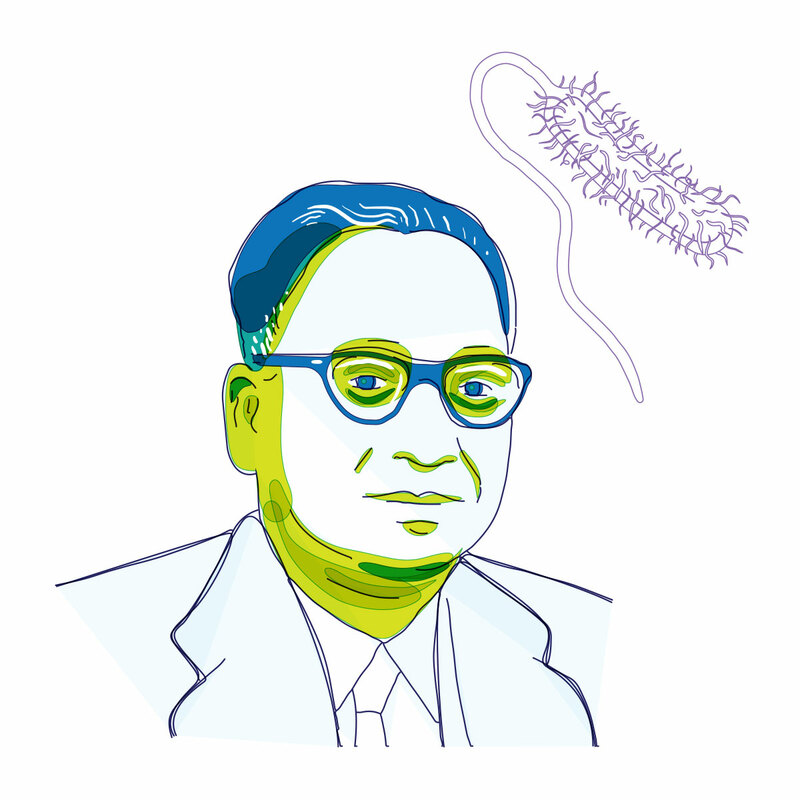 Dr. Sambhu Nath De’s most famous contribution to the field of medicine was his extensive studies on endotoxins of the cholera bacteria, which led to a great leap in our understanding and treatment of cholera and related diarrhoeal diseases. He designed several novel experimental methods to study the mechanism and mode of transmission of Vibrio cholerae, the pathogen responsible for causing cholera. De’s discovery that Vibrio cholerae secretes enterotoxin, a protein released by a microorganism that targets the intestine, is considered a milestone in the history of cholera research. This discovery not only changed the understanding of the disease significantly, but also allowed newer treatments and vaccines directly targeting this enterotoxin, to be developed quickly. Additionally, De and his colleagues also worked on understanding the action of V. cholerae on the intestinal membrane. De’s realisation that dehydration alone caused most of the symptoms associated with cholera, played a crucial role in the development of the oral rehydration therapies later. Recognition for his work came later, and he was even invited to deliver a talk during the Nobel Symposium in 1978. I have been dead since the early 1960’s, I have been exhumed by the Nobel Symposium Committee and these two days with you make me feel that I am coming to life again.